This great new car washer kit is durable, reliable, and multifunctional, which could be car washer, car air pump, fishing bucket and it also inflates tires.... The water pressure gun is designed to never make your hand tired. Without water the bucket is very compact, it will takes you just 4 Inches height. Connects and charges from the car cigarette socket- no external power sources required. Mini and Portable, our AP250 Multifunctional Pressure DC 12V Car Washer is perfect for each driver which take care of his car. You can save your money!!! 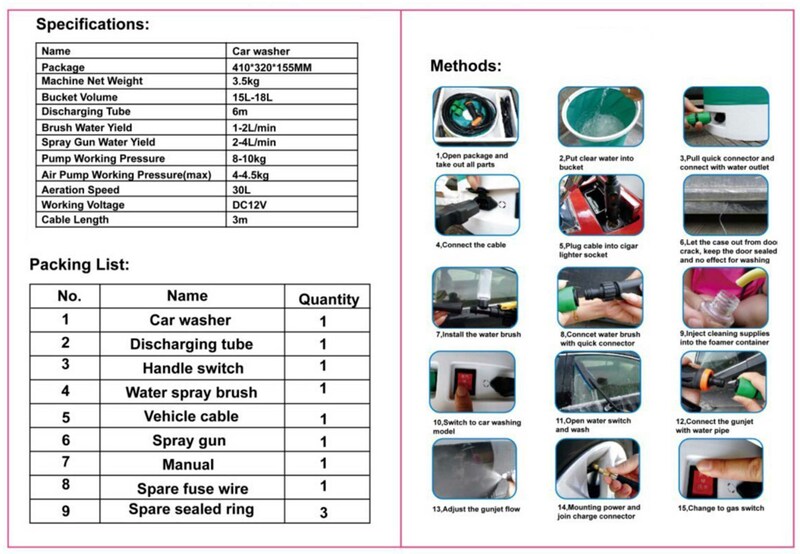 Use our Multifunctional Car Washer and enjoy the fun. Spray Gun Water Yield: 0.5 - 1 gallons/min.